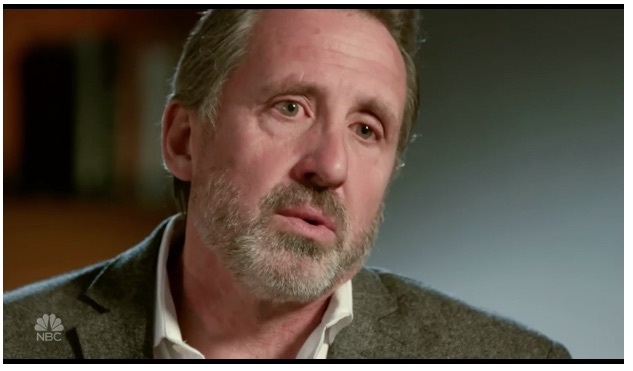 A major contradiction in the Sandy Hook narrative emerged during Megyn Kelly’s interview with Alex Jones, during which Sandy Hook parent, Neil Heslin, who had testified to Congress about the loss of his son, Jesse, said that he had held his body “with a bullet hole in the head” in his arms at the scene. Relatives identified their loved ones not in person but by photos taken of the victims’ faces, Carver said. NEIL HESLIN: I lost my son. I buried my son. I held my son with a bullet hole through his head. MEGYN KELLY: NEIL HESLIN’S SON JESSE, JUST 6-YEARS-OLD, WAS MURDERED, ALONG WITH 19 OF HIS CLASSMATES AND SIX ADULTS ON DECEMBER 14, 2012 IN NEWTOWN, CONNECTICUT. NEIL HESLIN I dropped him off at 9:04. That’s when we dropped him off at school with his book bag. Hours later I was picking’ him up in a body bag. Officials during a press conference shared some harrowing details of the mass killing at Sandy Hook Elementary School, including the nature of gunshot wounds. NEWTOWN, CT—Minutes before releasing a heart-wrenching list of those who perished in Friday’s mass shooting in Newtown, state officials reviewed some of the harrowing, gruesome details of what appears to have happened inside an elementary school where 20 children and six adults were shot dead by a lone gunman who then killed himself. Responding to difficult questions posed by a national media corps that descended just one day earlier on this normally quiet town about 60 miles northeast of New York City, the Connecticut chief medical examiner described how and where the bullets entered the children, what the kids were wearing and how he felt about what he’d seen inside Sandy Hook Elementary School. “This probably is the worst I have seen or the worst that I know any of my colleagues having seen,” said Dr. H. Wayne Carver II of the Office of the Chief Medical Examiner, where he’s been working for 31 years including 26 as chief. Carver said he saw no difference in the pattern of shooting deaths between children and adults inside the school. The weapon used primarily in the shootings was a long rifle, Carver said, and victims young and old were shot “all over” with some at close range and some not. “I only did seven of the autopsies, the victims I had ranged from three to 11 wounds apiece and I only saw two of them with close range shooting,” Carver said. The shooter who wielded that gun—discovered dead inside the building Friday with a rifle and two smaller guns near his body, police have said—has been widely reported to be Adam Lanza, 20. His motives remain unclear; state police are investigating. Carver said he would complete autopsies on the shooter and the shooter’s mother, widely reported to be Nancy Lanza of Sandy Hook, on Sunday morning. All bodies were removed from the school before dawn Saturday and transported to the medical examiner’s base in Farmington—about 40 miles away. The children’s autopsies were performed first so that their bodies could be made available to funeral directors “for obvious reasons,” Carver said. The graphic, detailed information seemed to fly in the face of a more private tone that Newtown First Selectman Patricia Llodra was trying to set when she preceded Carver at the podium. Calling Newtown a “close-knit community” whose heart is broken in the wake of a “horrendous tragedy,” Llodra called for media members to respect the privacy of residents, including those grieving for lost loved ones. Lt. J. Paul Vance of the Connecticut State Police echoed Llodra’s imploring for privacy, reminding people as he had at an earlier press conference that a state trooper has been assigned to each individual family of the victims. One new piece of information that Vance supplied in response to a reporter’s question was that investigators found no evidence of an altercation in the school involving the gunman. NEWTOWN, CT — Though the gunman’s motive remains unclear, some pieces of the timeline, emergency response and ongoing investigation into Friday’s horrifying shooting came into focus Saturday morning as state police addressed media members at a park near Sandy Hook Elementary School. All 20 children and six adults who died as a result of wounds suffered at the Newtown school have been identified by family members, Connecticut State Police Lt. J. Paul Vance said. Those families are going through “a very difficult and trying time,” Vance said, pleading with the media to respect the survivors’ wishes for privacy. A list that names the deceased will be made available as soon as the state Office of the Chief Medical Examiner has finished its work. Vance said that the bodies inside the school all have been transported to that office—located in the Hartford suburb of Farmington, about 40 miles from Newtown. It isn’t clear when the elementary school will reopen. Vance said investigators likely will be on scene for another one to two days. The superintendent of schools in Newtown is expected to address the media Saturday, Vance said. Echoing what Newtown police told Patch Saturday morning, Vance said investigators are working hard to try and establish the gunman’s motive. Until that investigation is complete, Vance said, no information about its details will be released. “I have to tell you that there are certain things, that there are simply cards we are holding close to our chest,” he said. Also echoing Newtown police, Vance confirmed that the gunman appeared to have forced his way into the school by shooting through glass to breach a secure, locked system. Vance said that “good evidence” was recovered at the school as well as a Sandy Hook home where a woman whose son is believed to be the shooter was found dead Friday. Multiple news outlets citing police sources have identified 20-year-old Adam Lanza as the gunman. According to NBC News, three weapons used in the shootings—two 9 mm handguns and a rifle—were legally purchased and registered to Lanza’s mother. “[The school and home] did produce evidence that investigators are able to use,” Vance said. Vance confirmed that all three weapons were located near the shooter by police responding to the scene Friday. First responders to the school encountered “several students and staff suffering from gunshot wounds,” according to a press release issued by the state police. On- and off-duty troopers and Newtown Police Department officers responded to what the world quickly learned was a horrifying, unimaginable scene following a 9:30 a.m. 911 call reporting a possible shooting at the school, Vance said in the press release. The shooter, whose identity police have not yet confirmed, was found dead inside the school, Vance said. Police have said the gunman shot himself. Multiple media outlets have identified 20-year-old Adam Lanza as the gunman. Vance also confirmed that a relative of the gunman was found dead at a residence in Sandy Hook. That deceased person is believed to be Lanza’s mother, Nancy. Nancy Lanza, originally reported to be a teacher at the school, is not in fact a teacher there, according to CNN. In all, 27 people were killed, police said, including 20 children. 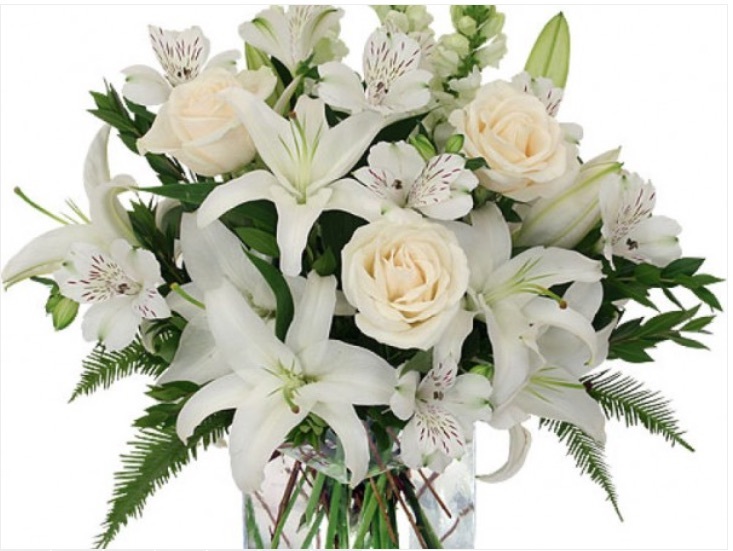 Among the adults killed were the school’s beloved principal and psychologist. The identities of all victims have been established, Vance said. Families of those killed have asked that no media members press them for interviews, Vance said. The bodies of those that perished have been transported to the Office of the Medical Examiner, which is located in Farmington—a suburb of Hartford about 40 miles away. In addition to the support for families themselves, Vance said, a crisis intervention team is being made available to the larger Newtown community. That team can be reached at 203-270-4283, Vance said. Newtown residents reeling from the massacre of 26 people, including 20 children, at an elementary school Friday are facing questions as they wake up to a living nightmare about the gunman’s motive, weapons and just what happened. Police are expected to hold a press conference at 8 a.m. and have said that they are “working backwards” to piece together the “why” behind the mass shooting in this normally quiet area. A town of about 27,000, Newtown is 45 miles southwest of Hartford, or about 60 miles northeast of New York City. A 12 p.m. Saturday prayer service is scheduled for St. John’s Episcopal Church in Sandy Hook, a neighborhood of the town. Newtown police Lt. George Sinko, the department’s public information officer, told Patch Saturday morning that investigators have no sense of what prompted the gunman to act. “There is no sense of motive at this time,” Sinko said. Though Connecticut State Police have declined to identify the Sandy Hook Elementary School shooter, several news outlets citing police sources have identified 20-year-old Adam Lanza. According to NBC News, three weapons used in the shootings—two 9 mm handguns and a rifle—were legally purchased and registered to Lanza’s mother, whom police say was found dead at her Sandy Hook home. Parents of schoolchildren at the scene Friday told Patch that the school was locked and that visitors need to be buzzed in. Sinko said Saturday that the gunman appeared to have blasted his way inside. Police radio dispatches aired by CNNreveal harrowing early communications to emergency responders who arrived at the elementary school around 9:40 a.m. Friday. According to Sinko, the gunman shot out glass next to the front door of the school. “We say that because the window next to the door was shattered. We are still investigating,” Sinko said. Sinko said investigators are sorting through a “tremendous amount of evidence,” adding that police are looking for no other suspects than the suspected gunman who also was found dead inside the school. Much of the investigators’ work involves checking motor vehicles, Sinko said. Sinko said that police are not releasing the names of the suspect or children killed. Patch will update this article with new information from state police and other officials throughout Saturday. Neil Heslin "died" on 9-11 when he played WTC firefighter "Thomas Richard Kelly." That was 2001. 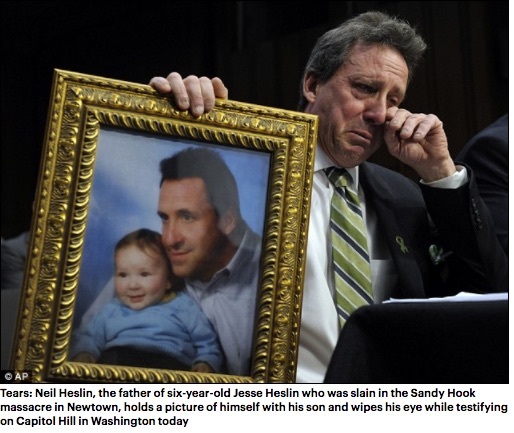 Fast forward to 2012 (Sandy Hook) and the same Crisis Actor plays Neil Heslin. Compare their photos — it's the same actor! @Anonymous – I checked. You're absolutely right! Question: SHES opening at 9:05 am always seemed late to me. Is that a typical elementary school opening time? What do working mothers do? Sandy Hook school was closed in 2008 and the FBI records show zero murders in Newtown in 2012, this was fraud to promote gun control. In November 2012 on the PBS show Greater Boston hosted then by Emily Rooney (daughter of Andy) had as a guest the Mayor of Boston Thomas Menino. The topic was gun control and Menino essentially bragged that he was good friends with then VP Joe Biden who had called him and told Menino that by January of 2013, gun control in the US would be a done deal. Rooney asked how or what could change for legislation to pass so quickly…Menino wouldn't say but that Biden assured him something would happen to bring it about. So I kept that weird interview in mind then sure enough…bang….Sandy Hook and I knew it was an inside job. I mean, 2 guys in camo from Connecticut's elite swat team on the grounds of that elementary school that morning? why? and they were both seen running FROM the scene of the crime. I assume they were there to finish off Lanza if their mind control didn't completely work. When people lie they change their story time and time again. is this what we are seeing here. Here is a video by Barry Soetoro comparing the dead firefighter Richard Thomas Kelly with Neil Heslin and David Wilcox the guy blacks beat up in Chicago in 2016. They appear to be the same person but of course pictures can be deceiving. It is worth a look. There are photos of a boy and girl purportedly killed at Sandy Hook in the book, and there are no adults in any of the photos. That seems strange, but makes sense if they had to edit out the kids' real parents as opposed to their Sandy Hook "parents". What is hardly ever mentioned is that supposedly, everyone died. No one is ever injured in these events, like Sandy Hook, or Santa Barbara, or Columbia, SC. There are no surviving witnesses, which bucks the odds. One would think that out of these three events, that there would be at least one person/kid that would make it. Nope. So if someone promoted a hundred more "sandyhooks" the promotion would be like promoting a hundred more fantasy lands! Is it my browser or does everything favor the left hand side of the webpage? Yes, the blog displays on the left-hand side of the screen. That's just how it is, alas. Sorry about that. Thanks Jim and Kelley for the great work. This is yet another data point proving the fraud by those Neo-cons/neo-libs/zionists/banksters/psychopaths/sociopaths/cabalists in charge. Thanks Anonymous. I usually watch most of Soetoro's videos and I missed this one. Thanks for highlighting that one. This chick is in 5 separate events. This is a paradox X1000. It seems like these folks are doing charade on purpose so 'we' catch on to it. Okay–I am a real person. However, the school, regardless of what Jim Fetzer or the waybackmachine? or anyone else says, was very much in session that day. My good friend's nephew was a student there. Maybe all those clues that it wasn't in session were put as a red herring to discredit debunkers in case they got to close to the other parts of the case. This def did NOT take place as we were told. So many things that don't add up. Okay–this is weird. Why were my comments deleted in which I said my friend's nephew was a student at SHSchool and was there that day. The school was open for business regardless of what anyone says. Having said that, I believe this was totally manufactured and we were given a narrative to justify taking away our guns. I am a real person and not a bot or a troll. Do you really think everyone in the town is in on it? For what you suggest, that would have to be the case. Because even people without school-age kids would know if the school were being used. And where would they have been going to school on other days? That makes even less sense than the stuff we are being asked to accept. I agree. Thanks for the great work! This case goes all the way to the top (or should I say bottom) of the dung heap. It was called an ICE CAPSTONE Event. ICE = Integrated Community Event. Capstone? All I can think of is the Capstone of the Masonic pyramid. There was SO much fantastic investigating done by others and I attempted to chip in; however other truth channels just dug in and kept at it. They should all be commended. It was Jim himself who taught me that Fraud Vitiates Everything [the beginning of a simple legal common law]. 1.) Sally (Sarah) Cox — full right stop. First one. Not only did she LIE about being a school nurse there for 15 years; she grossly and PURPOSELY led the police on a WILD GOOSE CHASE by this purposely impeding officers in their "investigation" with outright lies.She said numerous times that Nancy Lanza was a kindergarten teacher there which is a flat out lie. So where did she disappear to? One big fraud here. : 1.) Noah died again in a Peshawar, Pakistan school shooting nearly spot on two years later. His name was given as Hufaxi Hufazia and he even had Pakistani parents but clutching that huge huge photo usually known everywhere as being Noah Pozner. BUT THE BIGGEST FRAUD OF ALL IS THAT "PARENTS WERE SHOWN PHOTOS OF THEIR DEAD CHILDREN". Wrong! Please pore through the CSP Report. While many areas are redacted this part was CLEAR. 1.) Each parent couple were assigned some kind of "officer". 2.) But these cops acted like a liaison for them. Most of them had been told to "go home" and await word. Anyway the PARENTS collected THEIR OWN PHOTOS of their children and gave them to the police partner. The POLICE gave these PHOTOS of their ALIVE children for Carver or others personnel to make an IDENTIFICATION. They then RETURNED to their homes and made CONFIRMATION of DEATH to each parent, etc. They NEVER saw their dead child in the morgue NOR ever shown MORGUE PHOTOS. This is in the CSP report and it was shown in a great video where they simply screen shotted every single page and did all 26 "grieving" relative. **One of them when they came back, was sound asleep**. So who is committing FRAUD here? Carver? Everyone? Why? More dramatic and "heart-breaking"?? I realize that they could have seen their children anytime from body prep to the funeral but they are all LYING about the ID Process. Those who didn't want to be part of it were eliminated, like the female teacher. Remember the pic of her on the news, with that white-haired, male warlock in the background gesturing the devil's horns to the camera? Which one of Jim Fetzer's conspiracy theories do you believe and why? There has been evidence that all mortgages in Sandy Hook were paid off by December of that year. Look into that. “CT Carry of Connecticut, a gun rights group, finds that one of the Obama administration's photo-op parents of children who died at the Sandy Hook School is somewhat more familiar with portrait photos that include a set of numbers directly below his full facial and side profile images. @justme – your've looking at it in the wrong way regarding "you couldn't buy off/kill enough people". Just follow the evidence, it speaks for itself. Many people keep secrets. If you state you know people attending school, then provide ample evidence. 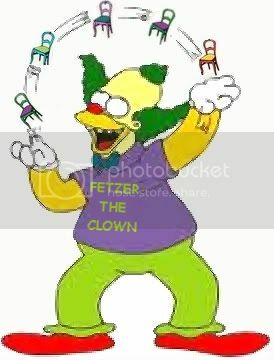 But with what Fetzer and others provided, it's very conclusive in nature that nothing happened that day other than a FEMA drill. Simply look at the arial evidence, witness/police/politician interviews/laws passed/FOIA issues, etc. It's apparent and stinks of a cover-up. Connecticut blew all that easy government money from the Sandy Hook Hoax. They are broke again. Isn't it a shame? Everyone should leave this cesspool of America. They need Sandy Hook Hoax II to bring in more dinero. How about it Adolf Trump? Are you game? Why is your blogger site empty? Wow, they do look like the same guy! I wondered what happened to these crisis actors after a job. So I guess many of them DO go on to other jobs. A permanent part of the Deep State personnel. I think it DOES look like the same guy, but people will have to come to their own opinions. I wish someone could compare the two forensically. The whole thing is crazy. How do you identify your dead child FROM A PICTURE and what parent would go along with that???? I would want to see my kid, no matter what the circumstances. That sounds both highly implausible and improper procedure. Next of kin, especially a parent, should HAVE to identify the body. What if a mistake was made from a picture? So of course, both Heslin and Carver cannot be right as the story is presented to us. Also, the time when Heslin dropped his son off is both peculiarly specific – 9:04…REALLY? You remember it was precisely 9:04 rather than just 9:00 – or 9:05? And as others say, isn't that rather late for the start of a school day? The people involved also made vast amounts of money, perhaps a few hundred million ultimately, in donations and grants because of the alleged massacre. That alone is a reason for investigation and certainly a motive for fraud, even a fraud as horrifying as this. When you wed a political agenda of gun control, to a mountain of financial incentive, it's hard to say this case should not be seriously and objectively investigated. Pictures can indeed be deceiving which is why I can't believe that Coroner Carver allegedly forced the parents of Sandy Hook to identify their dead children from photos. That is so crazy. Do you have a link to that episode? I cannot find it on youtube.